Working as a marketing consultant or even a freelancer means you can enjoy some of the perks of the job; this can include determining your own hours and holidays. Of course, the other side of the coin applies too, because you will be dealing with some of the more difficult clients this world has to offer. Fortunately, there are ways to detect nightmare clients before you start working with them. So, if you wish to avoid having some nightmare clients in your database, be sure to look out for these telltale signs. Is your client's expectations 'way out there.' They look at you like you are stupid and say things like, but 'i think i should be able to get results immediately', or 'I want to be at the top - make it happen within a week'. You know it, I could go on and on with example after example and they do not know how to interpret marketing results in terms of recognition, branding and leads. They think that by taking you on, everything should be on you and they will have no part, they do not look at you as an investment and look at you as staff. They think that when they take you on, the phone should ring off the hook, immediately. One of the biggest signs of a nightmare client! When you start working with someone new, and they start questioning your skills early in the game. You almost certainly have landed a nightmare client. Also, if they challenge you extremely early in your cooperation together, it is more likely they will not hold back when it comes to confrontation and being extremely demanding. If this is stress you do not need, maybe it is best to look for a more respectful client who will happily trust your expertise, after all, that's why they are looking for help. A nightmare client has little respect for your own emotional welfare and time off does not really exist in their vocabulary. In fact, a nightmare client will probably text and email you at all time, expecting an immediate response, even during your time off. Weekends are the time they think you should be at their beck and call. Don't get me wrong, there are some clients I do not mind speaking to, but they are long-term and we developed a long term relationship. Other's seem to think once they sign on the line, that you work for them and them only. Since you will not take a vacation early on in your new contract, it is important to look out for the earlier warning signs. Unfortunately, this type of harassment is just the start. Good communication is important in any workplace, but becomes even more important if you work as a consultant. Poor communication almost always leads to a failed project, so communication must be good on both sides to make the project a success. Many clients expect that magic wand that you will wave and all will be ok, clients will flock through the door. When you deal with a nightmare client, you can expect little to no direction in terms of what is expected of you. Most of the time, you are left to figure things out on your own, often costing you a tremendous amount of time in research and looking at external resources. Of course, the nightmare client will not be satisfied with your initiative. Often, he or she will demand an endless amount of revisions, after which you still have not been paid for your work. They have no idea of what it takes to carry out a task and they think it's all so easy. Well if it's that easy - do it yourself. While difficult clients is something we all face, if you are inclined to work for a nightmare client on a big project, be sure you agree on payment for hours worked, not on the completion of the project. I know from experience, the more you go above and beyond for a client, the more they expect and won't thank you for it. Remember, nightmare clients can put through an endless number of revisions. With payment for hours worked, they will appreciate your time a lot more. There are nightmare clients who are quite straightforward when it comes to communication. They have no problems using expletives and treat people with absolute disrespect. Of course, there is also the passive aggressive client, who can be in many ways a lot worse than the abusive client. Sometimes, nightmare clients will send you emails and texts that seem rather passive aggressive. Reading the email, it feels like you did something wrong, but it could also be down to you in how you interpret the email; this is a passive aggressive nightmare client. 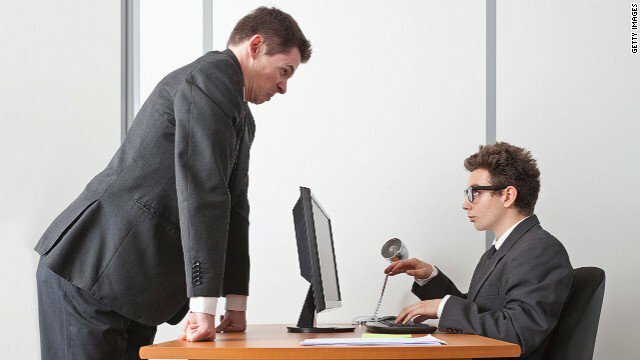 As mentioned before, communication is vital when it comes to working on a consultancy or freelance project and passive aggressiveness certainly leads to more trouble. 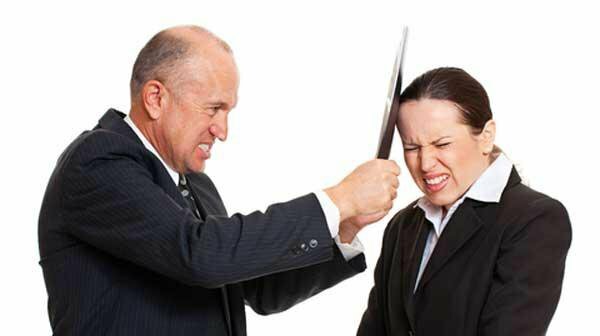 If you are able to contact the client directly or face-to-face, attempt to straighten things out. However, if passive aggressiveness continues, it may be better to step away. In the online world, it is a lot easier to pay your employees later than in the real world, since they do not have to meet with you face-to-face. Of course, this leads to another type of nightmare client, the late payers! Working for a client who has a habit of paying too late can be real troublesome. You might be working on a long-term project for them, so you might not want to ruffle too many feathers. Unfortunately, this leads to a continuing problem of late payments and they still expect you to continue working on their project. 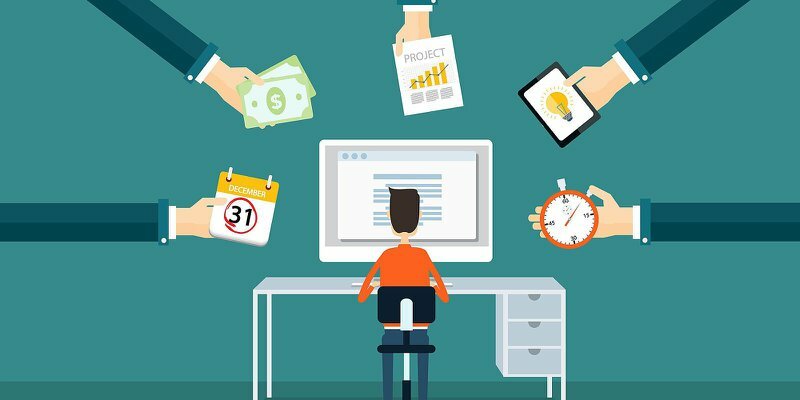 The best way to avoid late payments in the freelance world is by creating a contract between yourself and your client. 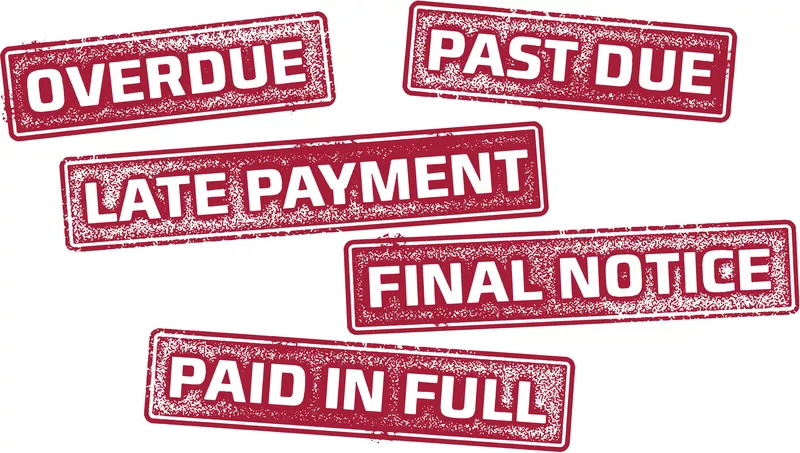 Stipulate penalties for late payments; this could be a late payment fee that accumulates over time. As a consultant, it is vital to protect yourself with such a contract. 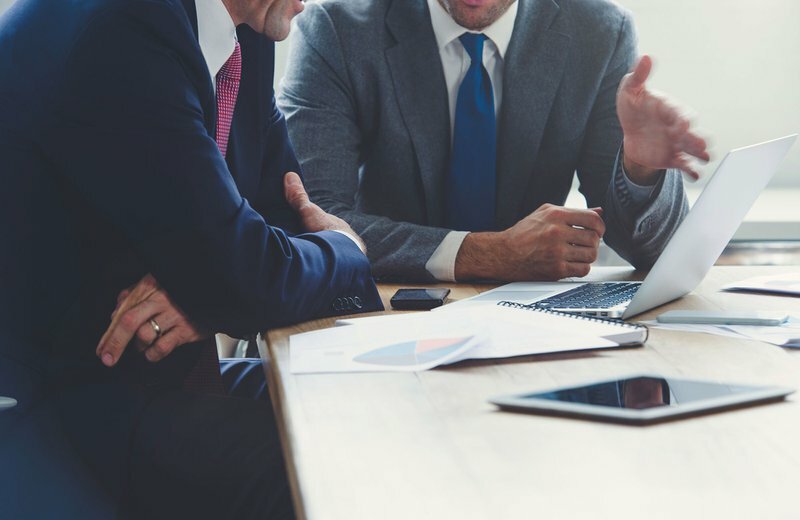 If your client refuses, you could be playing a dangerous game and end up out of pocket for several hundreds and sometimes even thousands of dollars! Fee haggling is not uncommon in the marketing world and most clients will attempt to reduce your fee before you agree to work for them. However, there is a small number of nightmare clients that will continue the haggling process once they have hired you. Always finding fault or pulling on your heart strings. For example, you have expected a project that will cost the client $3000; this after two days of haggling before the contract commences. As you are working on the project, the client wants another discount, maybe because they claim they are unhappy about something you have done. They could also claim you are not working fast enough or even that the quality does not match their expectations. These are all tactics used by nightmare clients to reduce your fee and give them even more profit. If you are dealing with a haggler before the start of your project, always put a contract in place with defined criteria. If a client attempts to haggle during or after the project - or even worse refuses to pay because of some unfounded reason - you are protected in the court of law. You have the right to take legal action, although this is something nightmare clients will want to avoid. So, they end up paying your fee anyway. Unfortunately, they will not hire you again, although you might not want to deal with them again either! "I know marketing, i've been doing it for years and working with many marketing companies that have not worked out"
Then you look at the online work they are supposed to be expert in and it does not take you long to figure out - "They are full of it"
Not taking your expertise into account can put any project in jeopardy. 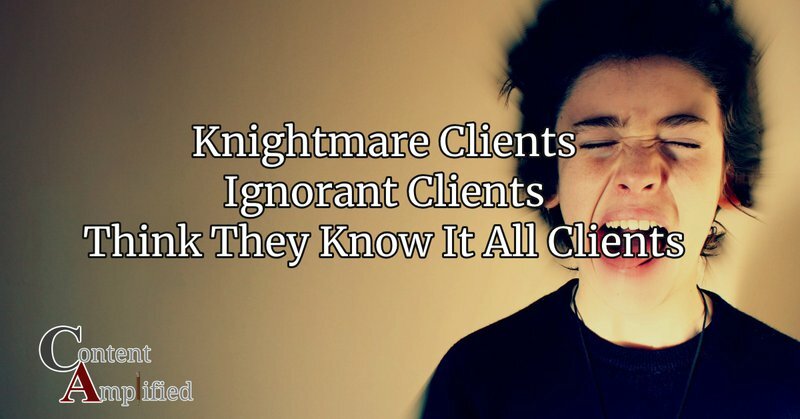 It is difficult to deal with a nightmare client like this, because they honestly believe they know better. Unfortunately, this leads to the project becoming a failure. The worst thing? You will be the one blamed once it is all over. When a project goes wrong due to a client not listening, it could even endanger your reputation. If a client is affecting your reputation by giving you a bad review, make sure you have all communications between yourself and your nightmare client. Publish them online and show the online world who the real culprit is. Reputation is everything for an agency or freelancer, so this is one of the occasions where you must fight fire with fire. Many nightmare clients like to pit their consultants and freelancers against one another, because at the end of the day, the only winner will be the client himself. Tactics such as this are often employed to undercut your fee, or even to force you to do more work than first agreed upon. When dealing with a nightmare client who pits other consultants and agencies against one another, do not fall for the trap. If he threatens to hire someone else, simply let him do it. 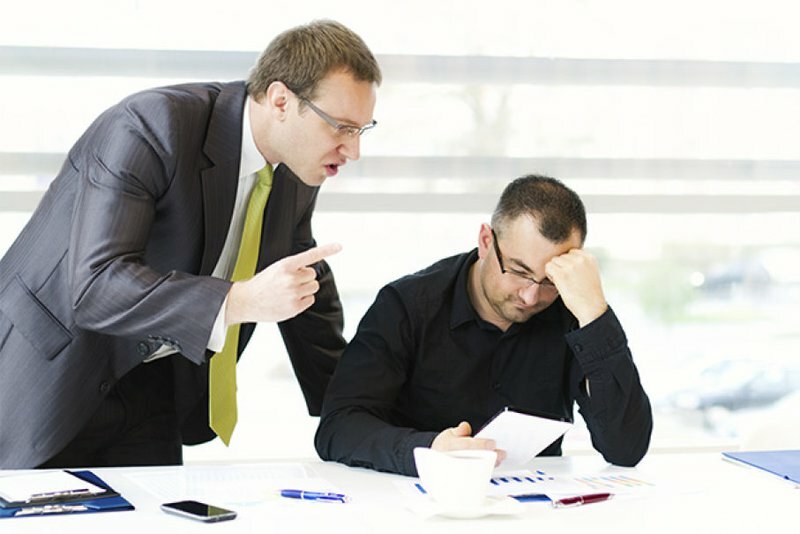 If you are in a contract with this client already, be sure to remind him about his contractual obligations towards you. The online world is far from the perfect workplace, since there is more room for clients to take advantage of marketing consultants who are trying to make a living. As an experienced consultant, I have dealt with all the nightmare clients I mentioned above, even some who were a combination of all! 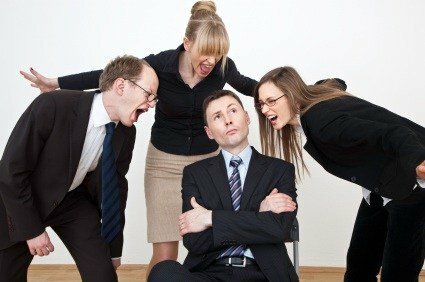 Making a living as a consultant is hard work and sometimes compromise is needed, but it does not mean clients have the right to treat you like garbage. Your work, your talent, and your skills are worth appreciation, just like they would be appreciated in a non-online working environment. My advice to new consultants is quite straightforward. Be careful with the contracts and projects you take. Don't just look at the dollars, look at the client. Always speak to a prospective client and ensure you are protected by the regulations of a contract. Even if you are working for an international client, make sure they sign a contract where labor laws of your country apply. It may make your head spin at the moment, but you will become familiar with the online world and the so-called nightmare client. You will eventually build up a solid client base, enabling you to put nightmare clients to the side forever. Don't get me wrong, it is hard work and you will be fooled somewhere down the line. Learn from your mistakes, work smarter, and you will build a successful future.